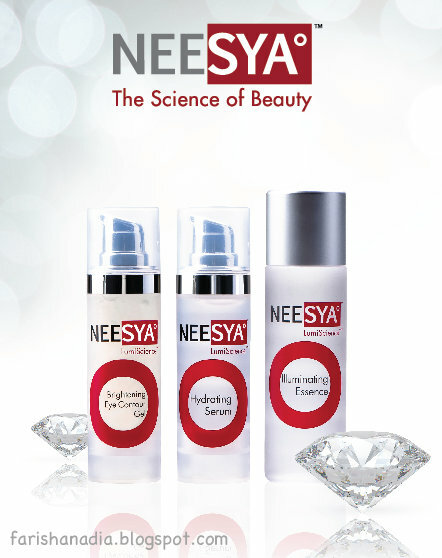 Neesya is own by a Malaysian company called Skinworkz Sdn Bhd. 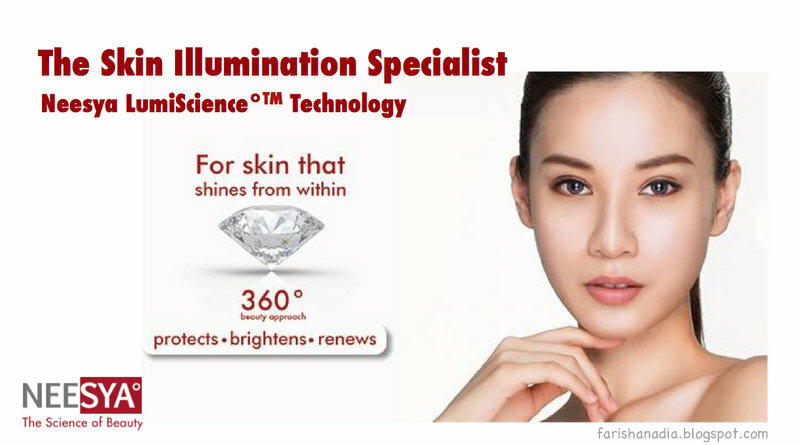 They are one of Malaysian's first skin care radiance specialist brand that promises to help users achieve a new degree of skin clarity, skin tone and radiance. 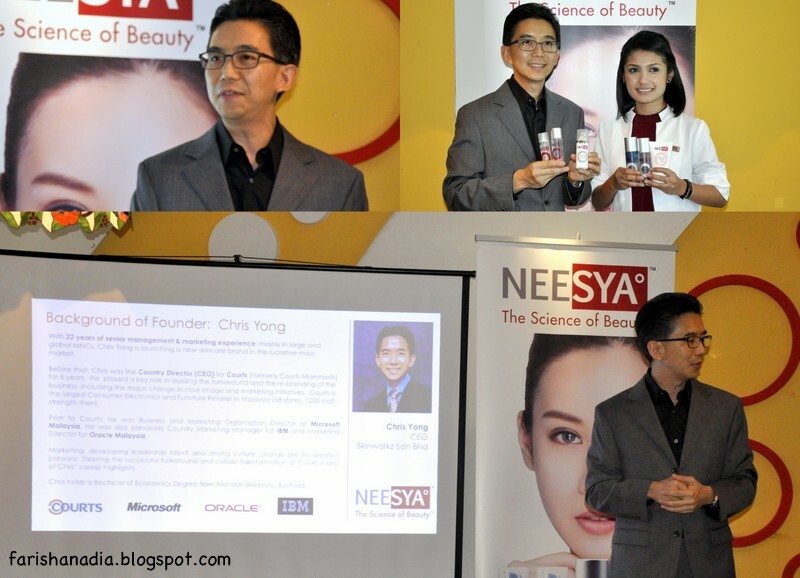 The CEO of Skinworkz Sdn Bhd and the person behind Neesya is Chris Yong. 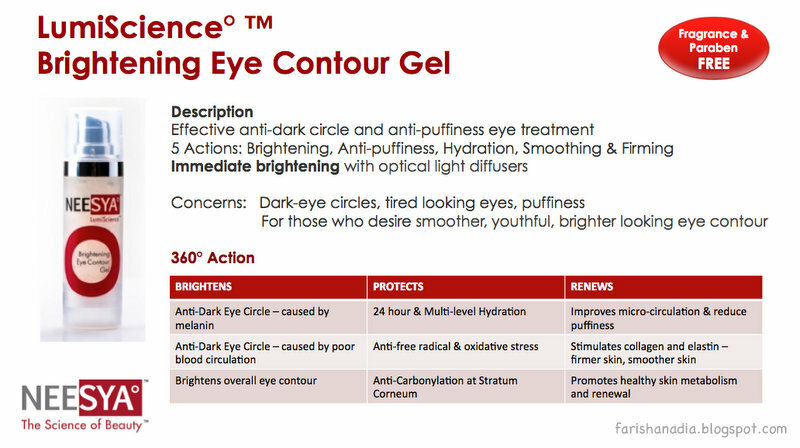 During the presentation, I can tell how passionate he was about his work in bringing a more affordable products yet providing exclusivity in terms of service and quality as well. You must be wondering what Neesya means or stands for. 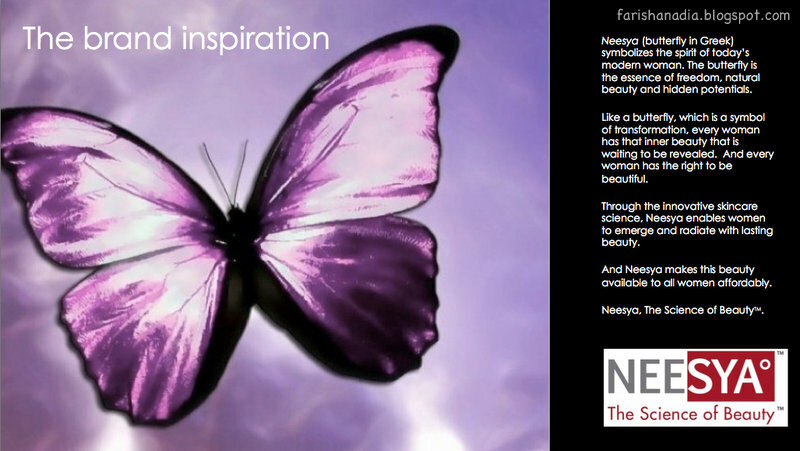 Well, Neesya actually means "Butterfly" in Greek. Somehow I have a soft spot for anything butterflies ;) I think they are a beautiful creatures and I think it suits the concept that they are bringing forward. 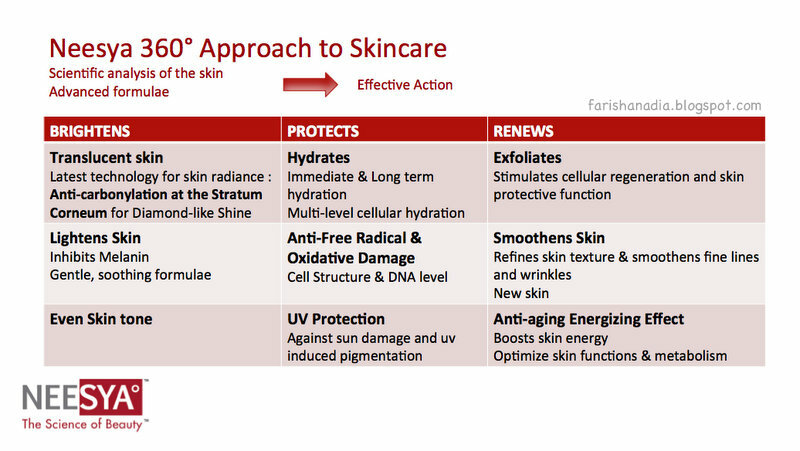 With this approach, the products carries 3 main functions; Brightens, Protects & Renew. 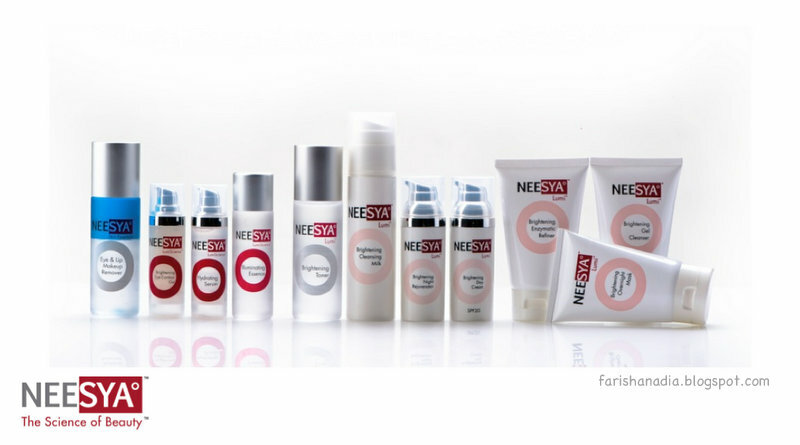 Neesya skincare consists of 3 ranges; Signature Range, Core Range & Ancillary Range. 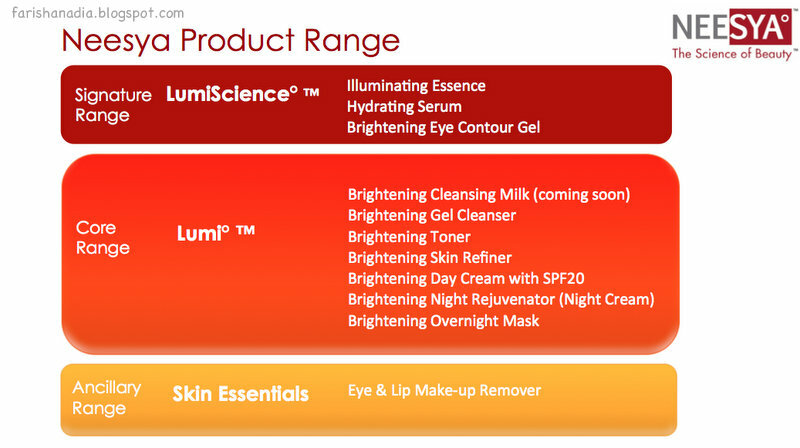 There are 11 products in total so far, 10 were introduced during the launch while one which is the Brightening Cleansing Milk will be available a little later. 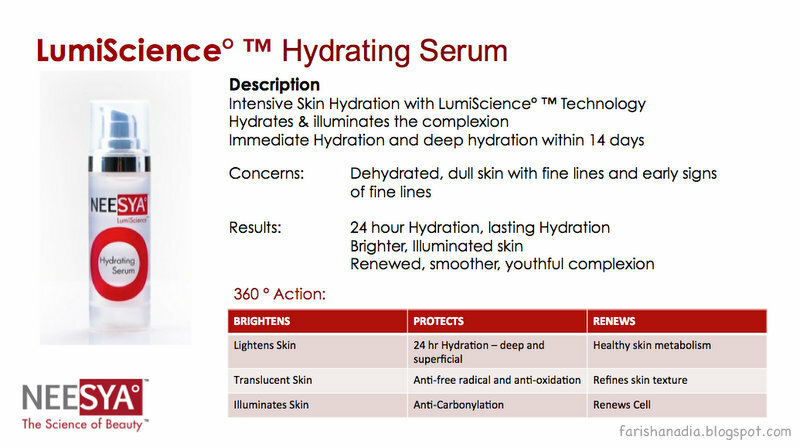 The Signature Range is a very interesting combination, each holds a great significance in our daily skincare regime, in my opinion ;) There are the Illuminating Essence, Hydrating Serum & Brightening Eye Contour Gel. 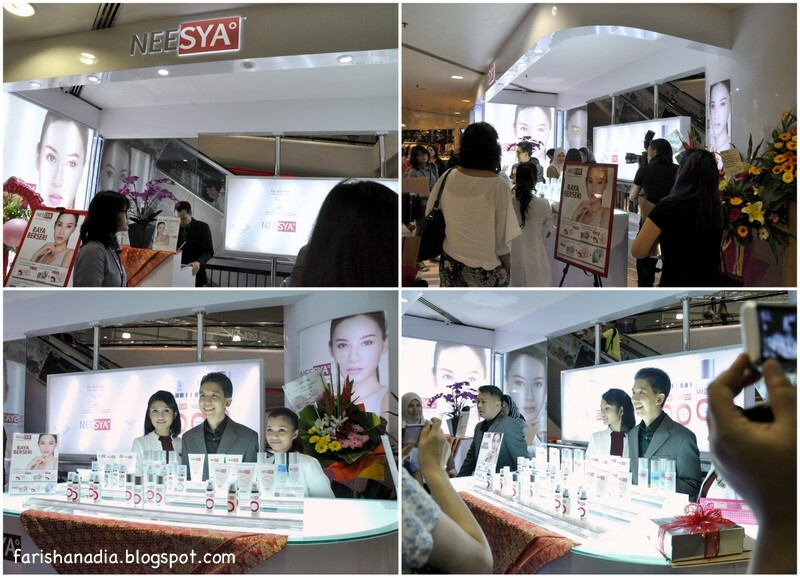 After the desert, we were escorted to the first Neesya outlet at Subang Parade. 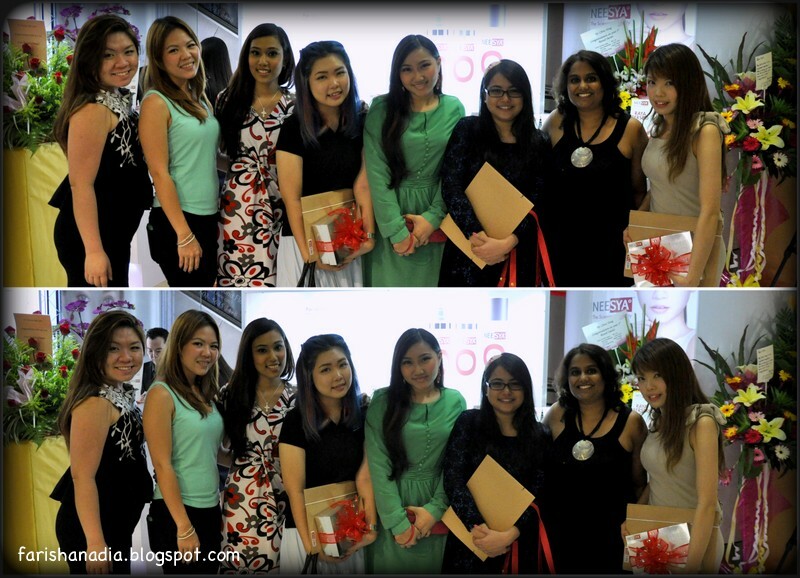 Pls lemme know on the comment! 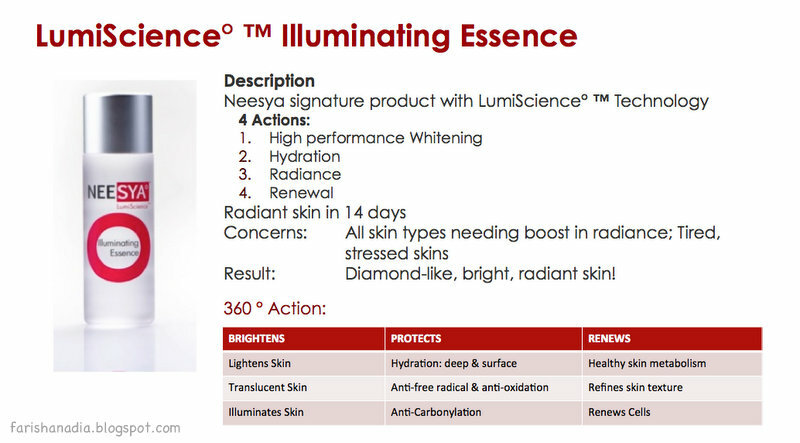 I had a lovely time and I'm enjoying the Overnight Radiance Kit at the moment :D The staff at the outlet is very friendly. 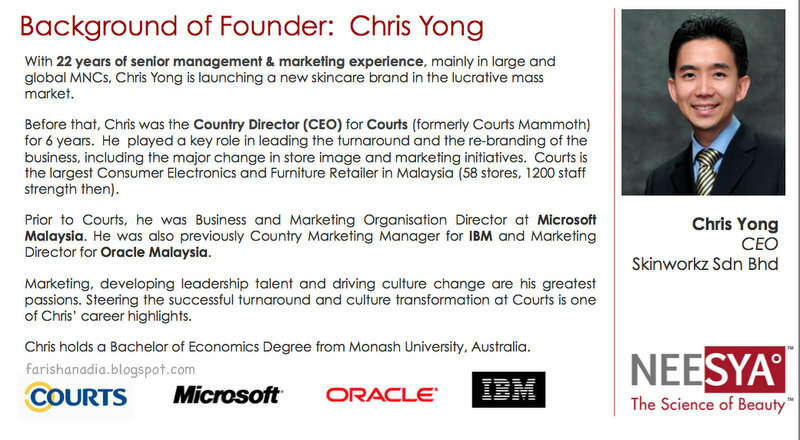 I do recommend anyone to stop by the outlet at Subang Parade if you have the chance.